As You Like It is at the Performing Arts Center on Feb. 14, 15 and 16 at 7 p.m., and Feb. 17 at 2 p.m. The prologue of the musical As You Like It begins with the play’s most iconic line. 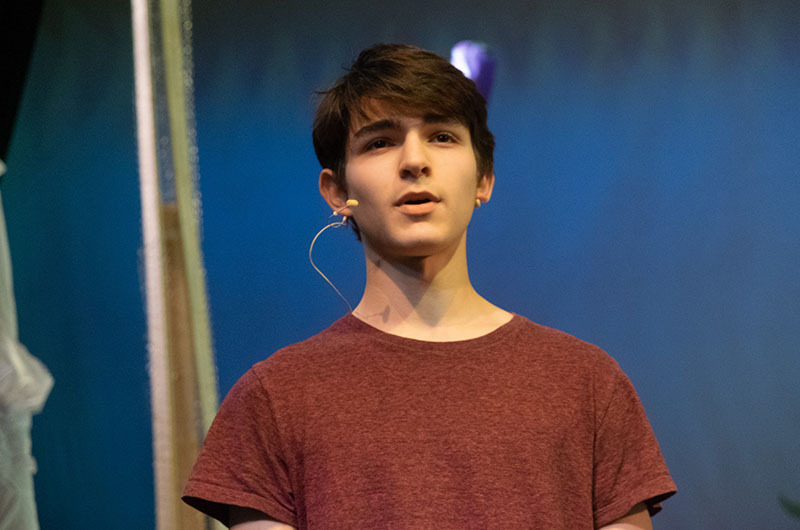 The opportunity to grow was what led director Brooke Ditchfield to select the musical, which had its Central Park premier in 2017 with the Public Theater, for this year’s high school play. Last year’s performance of West Side Story wowed audiences, and Ms. Ditchfield said she struggled with how to follow it. 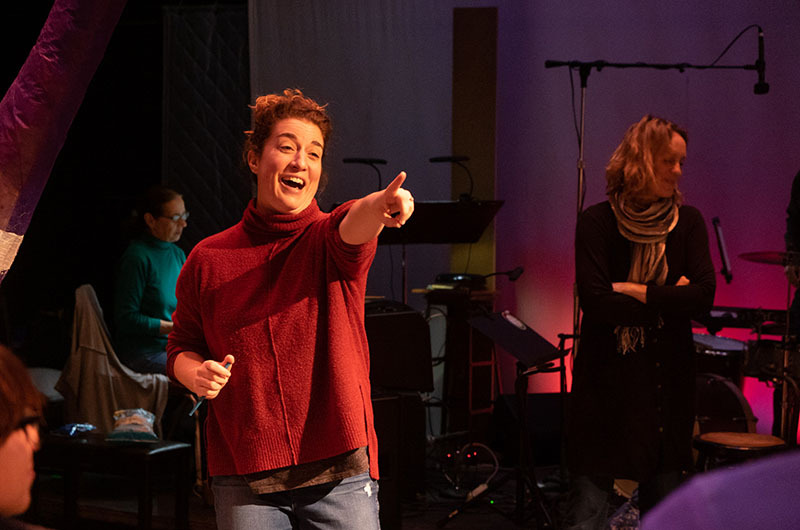 The show, playfully adapted by Shaina Taub and Laurie Woolery, mixes Shakespeare’s original verse (“Love is merely a madness”) with more contemporary language in the musical numbers (“My love for you is like a hamburger... But no pickles. Pickles gross me out.”). Shakespeare’s story of two friends Rosalind and Celia who are exiled from the court of Celia’s father and flee to the utopian forest of Arden is dutifully preserved in the musical. And with their music and their production, Ms. Taub and Ms. Woolery highlighted underlying themes of welcoming refugees and celebrating diversity in the magical forest of Arden. “Last year we did a tragedy. This year we wanted to celebrate love, inclusion and joy,” said Ms. Ditchfield, who has both directed and acted in other versions of As You Like It. Abigail Chandler is music director. Kenny Romero did original choreography. Chelsea McCarthy is in charge of costumes and other odds and ends, and Dana Edelman is technical director. The stage will transform from the colorless halls of the Court of Duke Frederick to the magical forest of Arden with the set design of Brad Austin, Josephine Orr and Charlie Esposito. 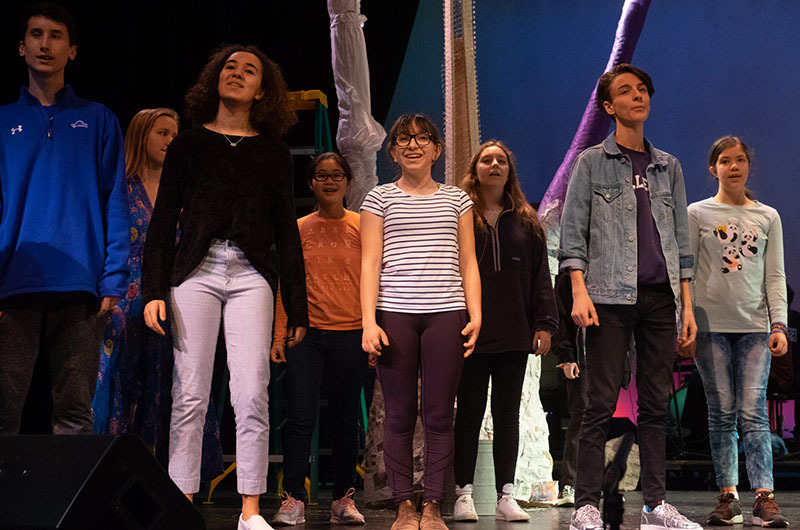 With inclusion in mind, the high school students will be joined by a rock band made up almost entirely of their teachers, and the cast includes more than a dozen younger children from Island elementary schools and a few adults as well. The lead character of Rosalind has been double-cast. Senior Victoria Miranda and Junior Bella Giordano will each play her for two of the show’s four performances. Because it’s unlikely that audience members will have seen the show, the cast has an opportunity to define it for themselves. 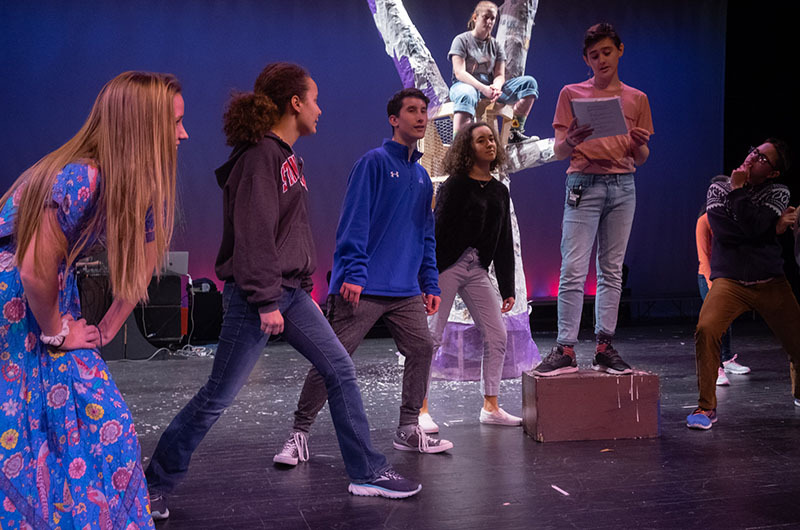 “We’re one of the first amateur productions of it, which is really exciting,” Ms. Ditchfield said, her voice hoarse from encouraging her actors and singers through a long rehearsal. Jaiden Edelman, a junior who plays Orlando, said he had to make his own choices about his character. The show demands a lot, whether cast members are speaking in Shakespearean verse, climbing trees on set, figuring out new music or handling giant puppets. “The first read through was scary because it’s Shakespeare, and it’s really hard. I had a tough time reading the lines,” said junior Skylar Hall, who plays Duke Frederick. There was a murmur of agreement among the other cast members gathered around. Each has a moment they are most looking forward to sharing with the audience. For Skylar, it is his evil Duke theme song. His entrances are always accompanied by his royal minions, the delightfully goofy freshmen Hugo Burrows and Ryan Giordano. Meghan Delphous, who plays Celia, said she looks forward to a difficult scene where her character is looking on, watching the main action from the background. “It’s challenging,” she said. Jaiden said he is looking forward to the song Will U Be My Bride. “I like the boy band song,” he said. Opening night for As You Like It is Thursday Feb. 14, beginning at 7 p.m. The show continues on Friday Feb. 15 and Saturday Feb. 16 at 7 p.m., with a 2 p.m. closing matinee on Sunday, Feb. 17. Every year I look forward to what Brooke and the students create! I'll be there. Absolutely don't miss this show! Opening night was amazing!So impressed with all the talent on the PAC stage! Bravo to all involved!